Back in the day, developer LucasArts was renowned for its superb adventure games. After all, games like Day of the Tentacle and Monkey Island have entered the pantheon of classic video games. But arguably 1998’s Grim Fandango is a step above these. 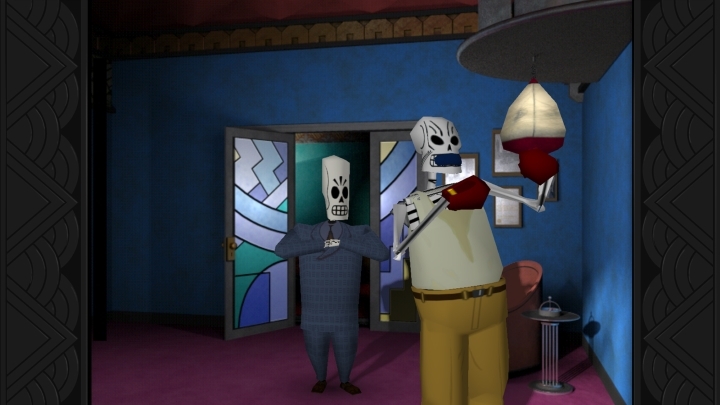 Actually, this is one of the most original adventure games ever, and is set in the Land of the Dead, where protagonist Manny Calavera works as a travel agent due to sins he committed when he was amongst the living. Manny soon discovers something is rotten in the Land of the Dead though, leading him across many original locations like a haunted forest and the port city of Rubacaba, where he becomes a nightclub owner a la Rick in Casablanca. You also encounter some superb characters here like Manny’s oversized sidekick Glottis and his paramour Merche, while a superb jazz-inspired musical score is also a highlight in this emotionally engaging adventure game. It’s a pity then that this ended up being a notorious flop, even if this classic video game from 1998 is still one of the best adventure games ever, and one gamers will remember for a long time to come. Release date: October 30, 1998. Available on PC, PS4, iOS, Android and others.